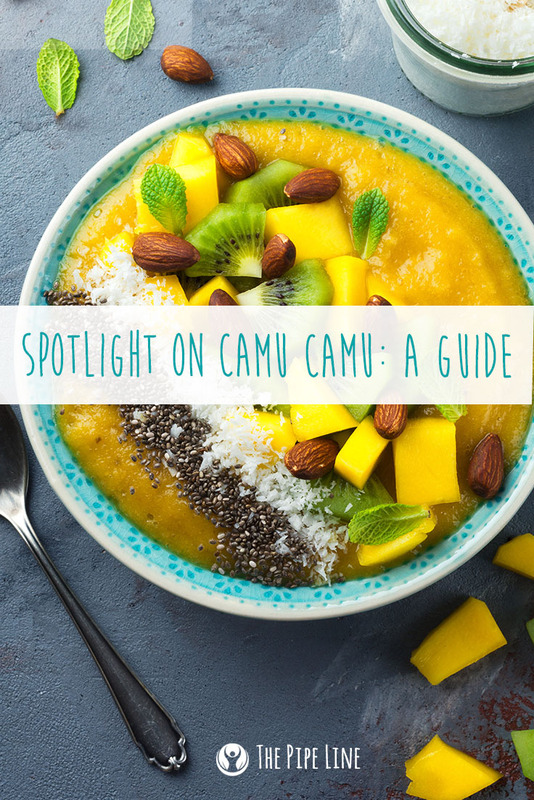 It was only in recent times that camu camu (pronounced: ca-moo, ca-moo) began gaining traction in mainstream health circles. These tart, cherry-shaped fruits have been predominately eaten and loved in key areas they are native to, such as Peru. They are found in the Amazonian rainforest and grow on shrubs, which would look like something out of Willy Wonka’s factory to those of us naïve on their presence until now. 1] One tablespoon of Camu Camu supplies your body with the needed daily Vitamin C intake it needs. 2] It has naturally occurring antioxidants (bonus points!). 3] Camu Camu has the most health benefits to offer before ripening fully, which is why it usually carries a tart taste! Now that you’re a little more acquainted with Camu Camu, we’re sure you’re curious how you can eat it: Pop in your mouth like grapes? Grind into a juice? Stare at it in awe? Well, sure, any of those could work. However, you’ll find locating this fruit in its natural form will be hard to do since it’s pretty new to the North American market. Frown face not though! The fruit does come in juice and powdered form which makes for delicious options in the kitchen…Think smoothie bowls. Now, we’re here to give you your first recipe to dive into and put on your exotic chef hat for. Granola, and any other things your heart may desire!